Recently, there’s been a lot of online discussion about whether or not essential oils are safe to be used in the mouth. If the oral microbiome gets imbalanced, the health of the whole body can be compromised. The primary concern seems to center around whether or not using essential oils in the mouth can damage the oral microbiome, and some broad statements that have been made might run the risk of misleading people who could actually benefit from essential oil-based product solutions. And while we’ve addressed questions like this in the FAQs “Are essential oils bad for the oral microbiome?” and “Does the HealThy Mouth Blend damage the ‘good bugs’ in my mouth?”, we thought it may help you if we circled on this specific question again. Ok, so here’s an overview of our stance: we believe that properly diluted essential oil-based products (like our HealThy Mouth Blend) do not harm and actually help balance the oral microbiome. And, as you’ll see, we base our stance on scientific literature rather than what’s trending. Of course, we’re biased. We provide products that contain certified organic essential oils. But beyond our bias lies plenty of research explaining and validating why we’ve included essential oils in our products. So, in an attempt to raise the bar of understanding on this subject, let’s take a deep dive into what the literature really says regarding the safety of essential oils in the mouth, and specifically whether essential oil-based oral health products harm the ‘good bugs’ in our mouth. From there, rather than adopt our (or any other expert’s) opinions as your own, you’ll be empowered to decide for yourself whether or not essential oil-based oral health products are a good fit for your family. As you know, we aren’t dentists or medical professionals. However, we do have a passion for researching both recently published and ‘more seasoned’ dental literature, and we’ve been doing so for nearly 30 years. Susan and I have a background in the Chinese longevity arts and we’ve always shared a love of both learning and holistic living. If you’d like to check out how we began our journey into researching oral health, feel free to check out Susan’s story. In addition to ‘geeking out’ on research, we love sharing information with you. Clinical practice in medicine (and dentistry) tends to be at least 10 years behind the research. So, our hope is that by continuing to dig through the scientific literature and by sharing the information we find with you, we can help you stay on the leading edge on your journey toward optimal oral health. One of our main research strategies when digging into any subject is to find who is providing the most consistent, evidence-based research and learn from them. Let’s start by laying down some foundations. In the spirit of clarity, we use the terms ‘oral flora’ and ‘oral microbiome’ interchangeably. And we call the ‘residents’ in the oral microbiome community ‘microbes’ ‘probiotic’ species or ‘thug bugs’. Evidence continues to mount that suggests that there’s a symbiotic relationship between us (the host) and the resident microbes in the mouth. In a healthy state of symbiotic balance, we support the microbes and the microbes support us. However, at times, this health-giving relationship between the host (us) and our oral flora can become disrupted and imbalanced. This state of imbalance is called dysbiosis. Rather than the win/win, ‘you help me/I help you’ scenario that occurs in healthy symbiotic environments, in an imbalanced mouth, certain species of microbes start to overrun the mouth and actively seek to undermine our health, creating a ‘win’ for the microbes and a ‘lose’ for our health. These microbes are classified as ‘pathogenic’, meaning they can cause disease. At OraWellness, we tend to refer to pathogenic microbes as ’thug bugs’ because while they’re not truly ‘bad’, disease nearly always follows when thug bugs increase their populations. And unfortunately, research has shown that various species of thug bugs actively seek to team up with other species of thug bugs. Think of it as a kind of ‘microbial Mafia’ where the kingpin bugs recruit others to help them do their dirty work. prevent the thug bugs from gaining the upper hand. The litmus test we use to determine if an expert really knows what they are talking about is whether they ever admit that there are things they don’t know. Notice that the term we’re going to discuss is the ‘ecological plaque hypothesis’. In other words, our group understanding of how to navigate the path to optimal oral health is a hypothesis, a working model. We (all) don’t know everything there is to know on the subject. We use the information at hand to build a model that provides us with consistent results. Meanwhile, we continue to seek more information to improve that model, even if we may wind up challenging or disproving original aspects of it. This is the cycle of continual improvement, which ultimately leads us to better and better models. Ok, so getting to the hypothesis: if you’ve been following our blog entries and videos, you probably already understand the ecological plaque hypothesis. So far, our best article on this has been ‘How to balance your oral flora‘. It’s what we talk about all the time: essentially, to optimize oral health, we must support both the ‘local’, or ‘in the mouth’, environment AND we must also provide ‘global’, or ‘whole body’, immune support. And just to make sure we’re all on the same page here, the global support is primary in the long term. In other words, we must support a shift in the terrain to make long-term changes to our oral health. Regarding tooth decay, helpful steps like reducing sugar and avoiding acidic foods and drinks come from the ecological plaque hypothesis. And for those of you who are more concerned about gum disease, strategies like habitually disrupting the thug bugs in gum pockets and increasing oxygen in gum pockets are born from this same hypothesis. Like we’ve shared in other articles and video tutorials, a major part of optimizing our oral health is being a ‘good conductor’ of the symphony of microbes in the mouth. One major strategy of being a good conductor is to keep plaque biofilms thin. Not surprising, this strategy is a big part of the ecological plaque hypothesis because as plaque thickens, the environment in the plaque changes (it becomes less oxygen-rich), and thug bugs proliferate more easily in that low-oxygen environment. Depending on their ingredients, some essential oil-based oral health products (like our HealThy Mouth Blend) can help prevent this from occurring. For example, manuka oil is particularly effective at helping to achieve adhesion inhibition. In other words, manuka oil makes it more difficult for thug bugs and the plaque that they create to stick to the teeth and gums, which helps prevent plaque biofilms from thickening. And, as we state in, “Can some plaques actually help our teeth stay healthy?“, essential oils can play an important role in penetrating even thick biofilms to help establish thinner (aka healthier) plaque on our teeth. Adhesion inhibition is part of mechanical plaque control, which means it plays a big part in being a good conductor of the symphony in your mouth. What role do essential oils play in the ecological plaque hypothesis? A big part of Dr. Marsh’s hypothesis is called, ‘control without killing’. This concept of ‘control without killing’ is critically important to understand. What we’re looking to do is use plant botanicals and evidence-based hygiene techniques (like Bass brushing and conscious flossing) to prevent plaque from thickening and provide an environment in which we discourage the thug bugs without disturbing the probiotic communities. But since some essential oils have antimicrobial properties, wouldn’t the products that contain them create huge imbalances in our oral microbiome? In fact, quite the opposite according to research. How is it possible to disrupt disease-causing microbes while leaving the health-supporting ones intact? This is why it’s so important to have the right balance and dilution of plant botanicals. 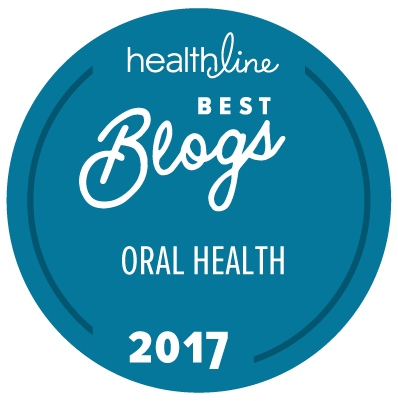 We explore this as well as the specifics on why our HealThy Mouth Blend is so effective in this article. If the formula is too concentrated, it can damage the microbial balance in the mouth. If it’s not strong enough, we won’t benefit from the supportive qualities these plant botanicals offer us. The balance needs to be just right, and when it is, it can help us to be a good conductor by encouraging the beneficial microbes and overthrowing the efforts of the thug bugs that are trying to build their populations. Another component of using products like our HealThy Mouth Blend is being able to place the supportive compounds where they are needed most. Using the Bass Brushing Technique with the HealThy Mouth Blend helps us to do just that. The rounded bristle tips of the Bass toothbrush along with the unique brushing technique help the organic essential oils to get into the gum pockets, which is where the thug bugs associated with gum disease thrive. The same goes for other strategies like conscious flossing. These kinds of strategies are why we get so many testimonials from happy customers. And we especially love the ‘after the dentist’ testimonials, because professional feedback can really help confirm that we’re on the right track with our efforts. We hope you’ve gleaned some helpful information from our research-based contribution to the discussion about using essential oil-based products in the mouth. We encourage each of us to continue to question the stories that we’re told and challenge our existing models so we can keep growing and improving along our path. What about you–what has been your experience using products like our HealThy Mouth Blend? Have you found benefit from them? Have you found it to be a positive or negative experience? Please share in the comments below so we can all continue to learn from our group experience. Using essential oils in a diffuser is generally safe and there aren’t as many limits.